From left to right: Byron Kirkwood (Board Member, Treasurer and Firefighter), John Sellers, Terry Mays, Haskell McCully, Roy Eubanks (deceased), Adam Thristy Jr (Asst Fire Chief), Danny Hooper (Fire Chief), Sam Hooper, H P Wright, Jack Patterson (Board Member), Billy Hooper, and Dale Winkler. Missing from the picture are Robert Hooper (President of the Board), Emma Thristy (Vice President of the Board) and fireman Tommy Brannon. Picture taken by Kathy Hooper on July 22, 1998. 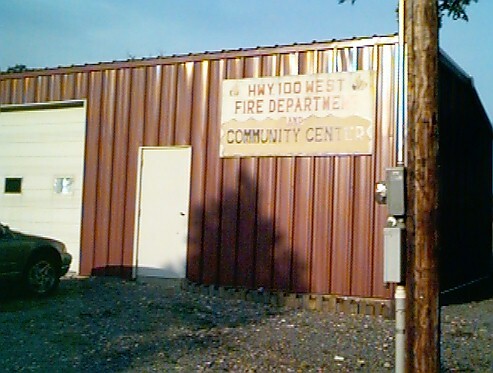 This is our main fire station and local community center located behind the Rocky Mountain School, about 3 miles off Hwy 100 in Western Adair County. organization and donations are tax deductible.